The metropolitan aura and progressiveness of Mandaluyong and Pasig’s business districts are drawing more urbanites to reside in those exciting places. 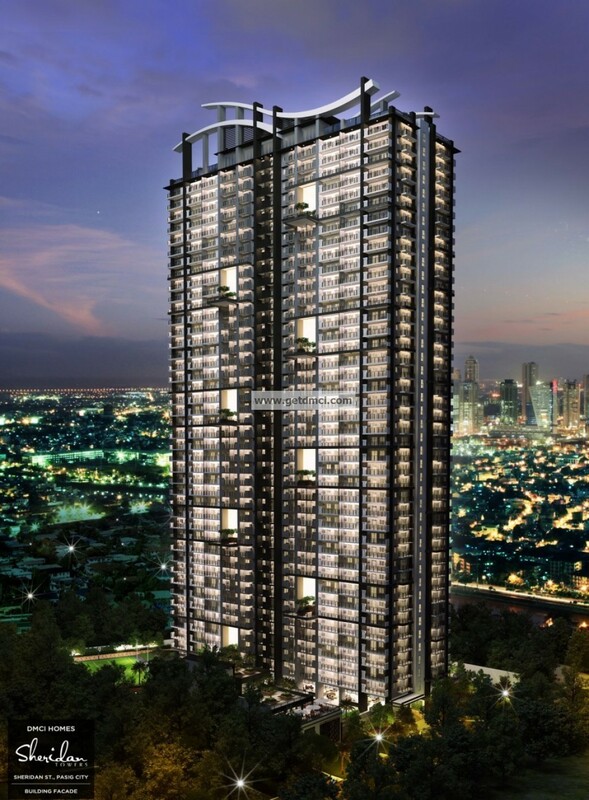 Being at the center of Metro Manila, DMCI Homes announces its additional newest condo development along Sheridan Street bordering Mandaluyong and Pasig City with Sheridan Towers. 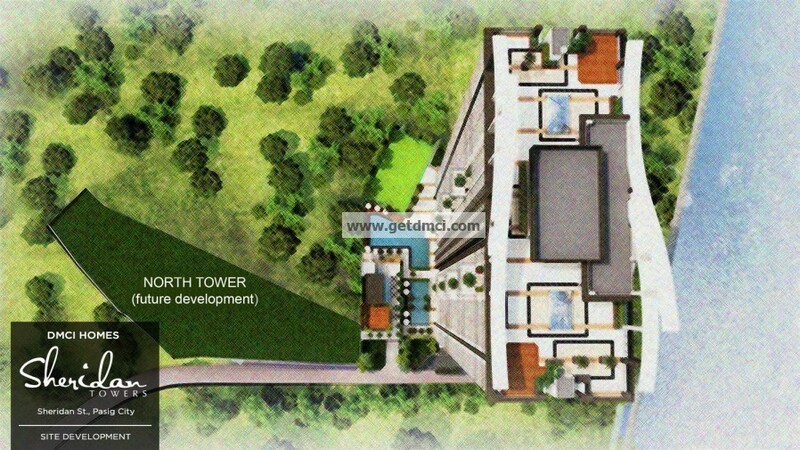 Sheridan Towers will be consisting of a two high rise condo that will be built on a 1.1 hectare property with modern-tropical design. 70 percent of the land area is devoted to open garden spaces, including the amenity core that will provide homeowners a unique resort and country club lifestyle. First to be developed is the South Tower with 1,048 units in studio, 1-bedroom and 2-bedroom cuts to be turned over in November 2018. 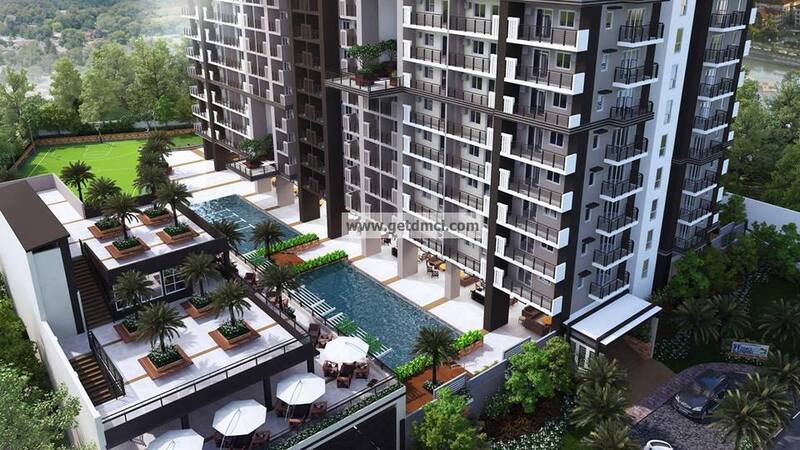 Unit size ranges from 28 square meters to 67.5 sq.m., including the balcony area. The building has six high-speed elevators, five basement parking and a hotel-like lobby with a receptionist to facilitate and assist residents and guests. Lumiventt technology will maximize natural light and ventilation through single-loaded corridors per floor, breezeways at the end of each floor, garden atriums and extended Sky Patios every five floors which are 3-storey open sky gardens. The condo innovation draws in fresh air and expels stale and warm air at the same time. Sheridan Towers provides relaxation and social interaction among residents as well as sustain their active lifestyle through its resort- and country club-type amenities and facilities. 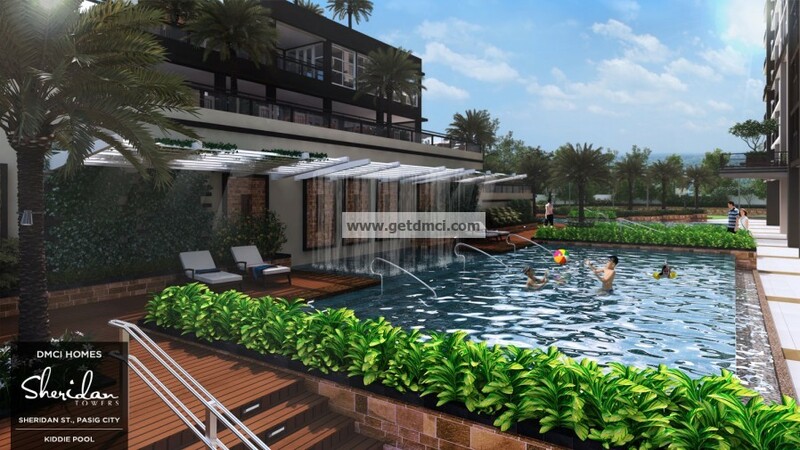 The outdoor amenities include a lap pool, leisure pool, kiddie pool, shower area, tree court, basketball court or play court, al fresco lounge, view deck, pool deck, children’s playground, Sky Park at the roof deck and landscaped gardens. Indoor amenities features a fitness gym, function hall, entertainment room, game area, children’s recreation space or daycare, sky lounge, and business center. Property Management Office will assist homeowners on utilities application, provide housekeeping services and maintaining common areas. Household services and needs are provided by a laundry station, water station, mail room, and convenience store. The condo is equipped with an overhead water tank, underground cistern, centralized garbage disposal area, sewage treatment facility, full back-up power in common areas and units, automatic fire sprinkler and fire suppression system at hallways, fire hoses at the hallway near stairwell. Sheridan Towers is secured by a lighted electrified perimeter fence, entrance gate with guard house, car barriers, 24/7 roving security guards and CCTV cameras at strategic locations. 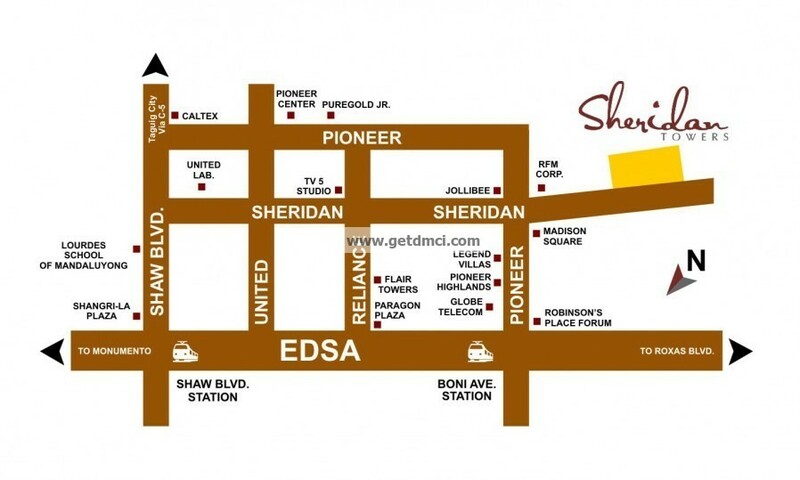 Sheridan Towers, the newest condominium in Mandaluyong is connected to Makati and Quezon City via Pioneer Street and Boni Avenue making workplaces and hangouts easily accessible whether by private or public transportation. Also nearby are Bonifacio Global City and the Ortigas business district, where shopping malls such as Robinsons Place Pioneer, Shangri-La Mall, Starmall, SM Megamall, The Podium, Rockwell Center and Robinsons Galleria are located. Nearby schools are Lourdes School of Mandaluyong, University of Asia and the Pacific, St. Paul College Pasig, Poveda Learning Center and La Salle Greenhills. The Medical City and Cardinal Santos Hospital are the nearest hospitals. Sheridan Towers bears the DMCI Homes Quality Seal, which represents our commitment to deliver homes that are built to last. Your new home is subject to our proprietary quality management system and comes with a 2-year limited warranty. 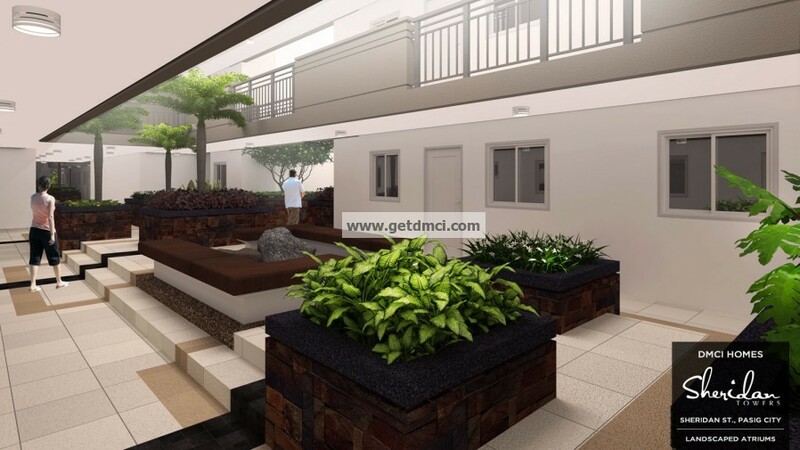 While most property developers are only offering a one-year warranty, DMCI Homes sees to it that its units are backed by a 2-year limited warranty. This covers all unit deliverables such as paints, kitchen cabinets and counter tops except operable items that are subject to wear and tear due to daily use such as faucets and door knobs. Terms and conditions apply.